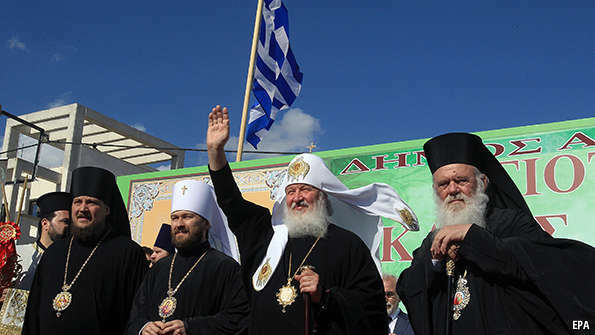 from economist.com: As my last posting noted, the first edgy thing which the new Greek government did was to downgrade, albeit very politely, its relations with the church. The second thing was to upgrade a relationship whose historic roots are at least partly religious, with Russia. On his first day in office, prime minister Alexis Tsipras met the Russian ambassador, and then distanced Greece from an EU statement which protested over Russian actions in Ukraine and threatened further sanctions. He then named a foreign minister, Nikos Kotzias, who enjoys cordial relations with the religious-nationalist segment of the Russian elite.